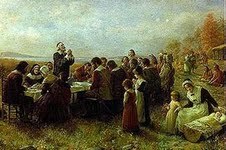 When was the first Thanksgiving Celebration in America? Which U.S. President changed the day we celebrate Thanksgiving - twice! What was the idea of the "Harvest Home" all about, and how could that idea save our America today?